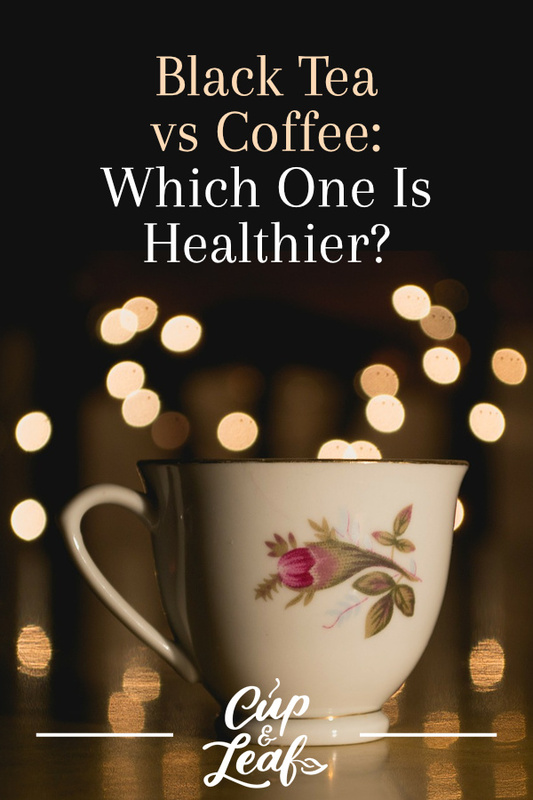 Black Tea vs Coffee: Which One Is Healthier? It's one of the biggest battles out there: coffee vs tea. Both sides dig their heels in and insist that their choice beverage is better for overall health. It's no wonder the battle lines have been drawn. Research emerges almost daily purporting the health benefits of one over the other. With all of that data, it can be hard to make a decision. So what's the truth? Is coffee healthier than tea? We've done the research so you don't have to. Read on to find out which of these delightful beverages wins the war. Tea is a delightful beverage that comes in two main varieties: true teas and herbal teas. 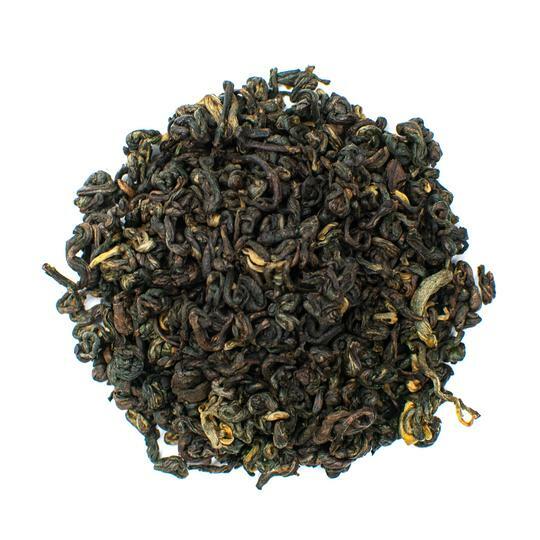 True teas are made using the leaves of the Camellia sinensis tea plant. Herbal teas are made using the leaves, flowers, and roots of thousands of plants, herbs, and spices. Tea can taste earthy and malty or floral and airy depending on the variety. One of the most commonly espoused tea benefits when compared with coffee is that it offers extensive flavor options. Free radicals are compounds that can cause cardiovascular disease and even cancer. Free radicals are also behind premature aging. They can cause the development of fine lines and wrinkles as well as dull, dry skin. The presence of a high number of free radicals leads to a process called oxidative stress. Oxidative stress is essentially the body's form of rust. It damages cells and cellular processes, causing rapid decline and health issues. The main causes of free radicals include exposure to harmful chemicals, alcohol consumption, smoking, unhealthy diets, and environmental pollution. Tea antioxidants help to eliminate free radicals, thus supporting overall human health. 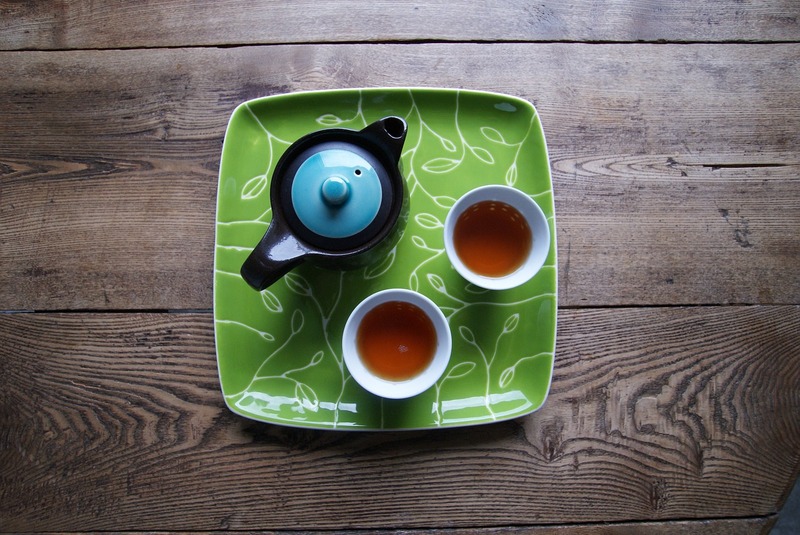 Drinking tea can help you feel and look younger thanks to potent antioxidants. Tea is packed with antioxidants that just aren't found in coffee. Tea contains polyphenols, tannins, and catechins that have been linked to a host of health benefits. The most potent of these compounds is known as EGCG or epigallocatechin gallate. EGCG is an antioxidant that has powerful protective properties and helps to boost health. It's been linked to lower cancer and diabetes risk among other benefits. Regular tea drinkers have a lower risk of stroke and cardiovascular disease. Tea helps to lower high blood pressure by reducing inflammation in blood vessels. The anti-inflammatory properties of tea also help to reduce the risk of clogged arteries and heart attack. Regular tea consumption can also help to lower the risk of type 2 diabetes by improving insulin tolerance (1). Tea has been closely linked to brain health and the prevention of neurological diseases such as Alzheimer's and Parkinson's. Tea drinkers who regularly consume a few cups of tea per day tend to have lower levels of mental decline. One study published in the American Clinical Phytoscience examined the effects of black tea consumption on 32 individuals. 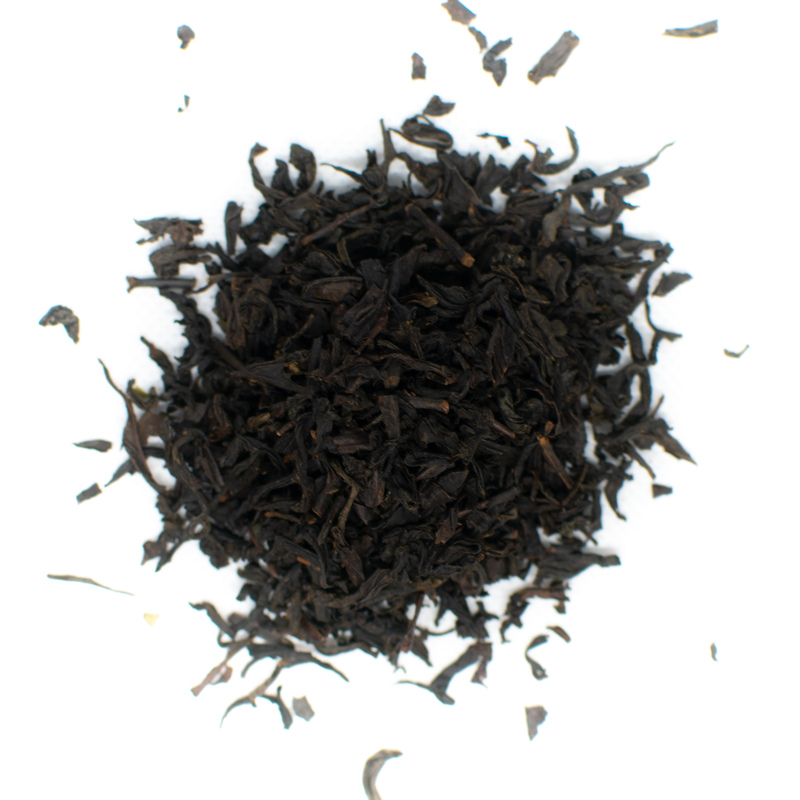 Researchers found that black tea had a significant impact on reducing cognitive impairment. Participants that consumed black tea also demonstrated faster reaction times and better memory recall (2). Feeling nauseous? 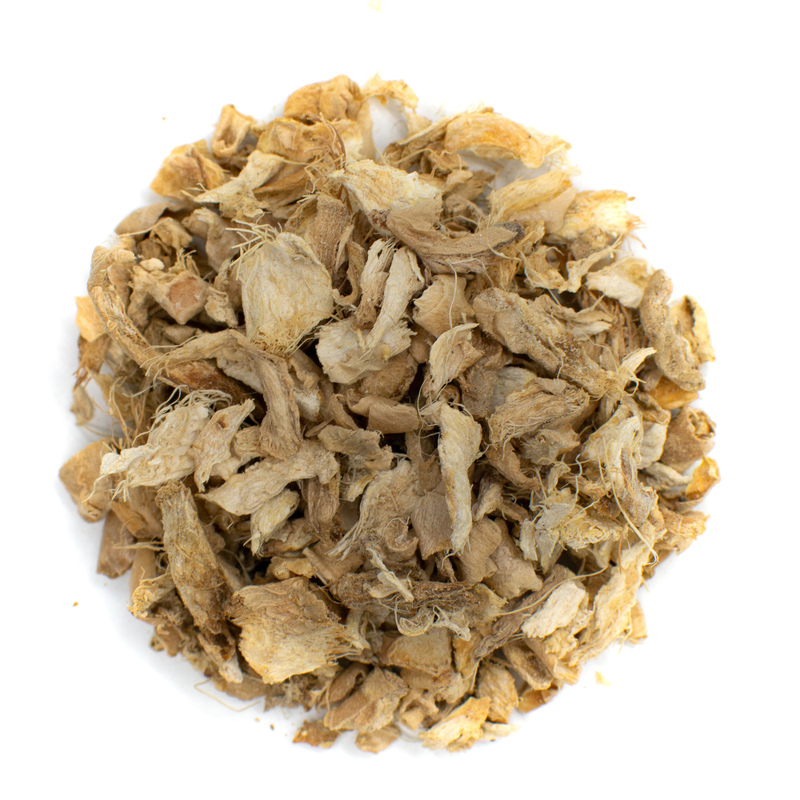 Try our Thai Ginger Tea and feel better faster with hints of lemon and spice. Tea streamlines digestive processes, helping to alleviate upset stomach, nausea, and digestive diseases. One study found that tea helps to promote healthy gut bacteria while eliminating bad bacteria that can cause salmonella and stomach ulcers (3). Tea also has anti-diarrheal properties that can help encourage good bowel movements and treat diarrhea (4). Some herbal teas such as ginger tea help to prevent feelings of nausea. This tea has been used for centuries to treat morning sickness and motion sickness with fast results. Tea may help to prevent certain types of cancer including prostate cancer, skin cancer, and breast cancer. The National Cancer Institute describes several studies examining the effect of tea on cancer cells. Many of these studies have found that tea helps inhibit the growth of tumors and the reproduction of cancer cells. Tea has also shown the ability to induce cancer cell death in some cases. 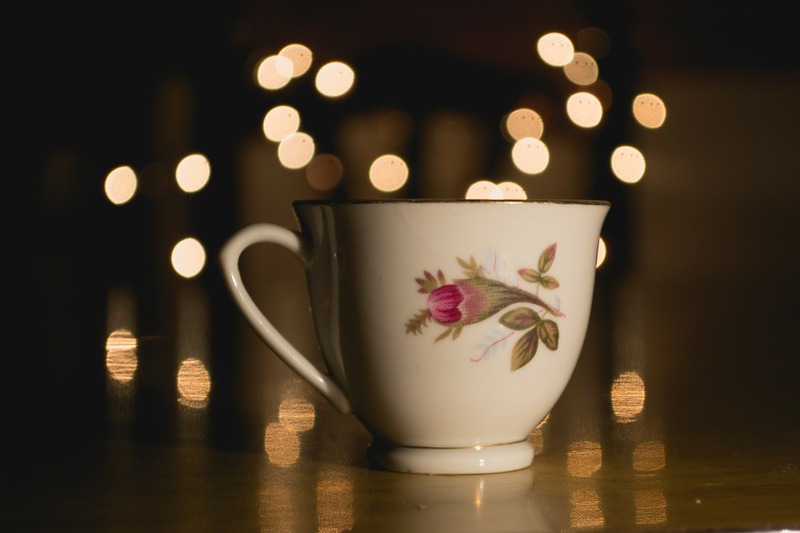 While more research is needed and tea is not a replacement for traditional cancer therapy, it may help prevent the onset and growth of some forms of cancer (5). One of the most commonly recognized health benefits of tea is its ability to accelerate weight loss. Green tea supplements are famous in the weight loss industry. 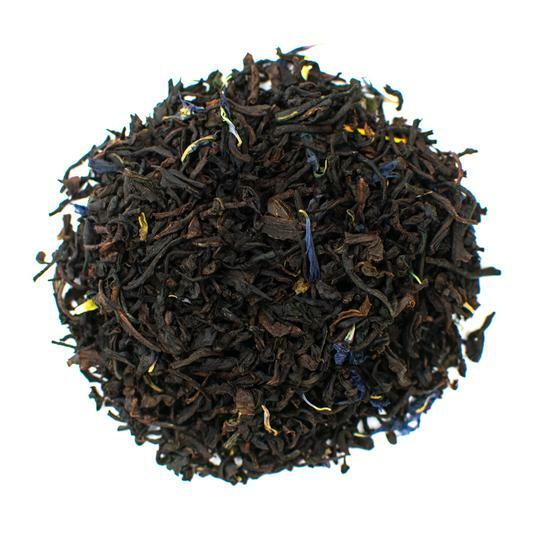 Black tea is also an effective weight loss agent thanks to high concentrations of EGCG. This tea catechin helps to increase body temperature and induce faster fat burning (6). EGCG also encourages the body to reduce fat stores and can improve exercise performance. Black tea increases the release of norepinephrine, improving the body's ability to perform during high intensity aerobic exercises (7). Black tea can help boost energy levels to kick start your day or power you through a dreary afternoon. Tea contains less caffeine than a standard cup of coffee, but it has other compounds that maximize its energy boosting effects. Tea contains an amino acid known as L-theanine. This amino acid inhibits the fast release of caffeine, resulting in a more even and steady energy boost. There's a good reason most people reach for a cup of hot tea when they start to feel sick. Tea contains a large amount of vitamins and minerals that support immune processes. Black tea can help increase the reproduction of white blood cells, which fight off invading bacteria and viruses. Soothing anti-inflammatory compounds also help to alleviate the pain of a sore throat. Some types of tea including herbal teas such as eucalyptus work as decongestants to loosen mucus in the airways and improve breathing. Tea has very few side effects when consumed in moderate amounts. True teas that contain caffeine can cause adverse reactions in individuals with caffeine sensitivity. Drinking large amounts of tea can also result in dizziness, nausea, and irregular heartbeat. 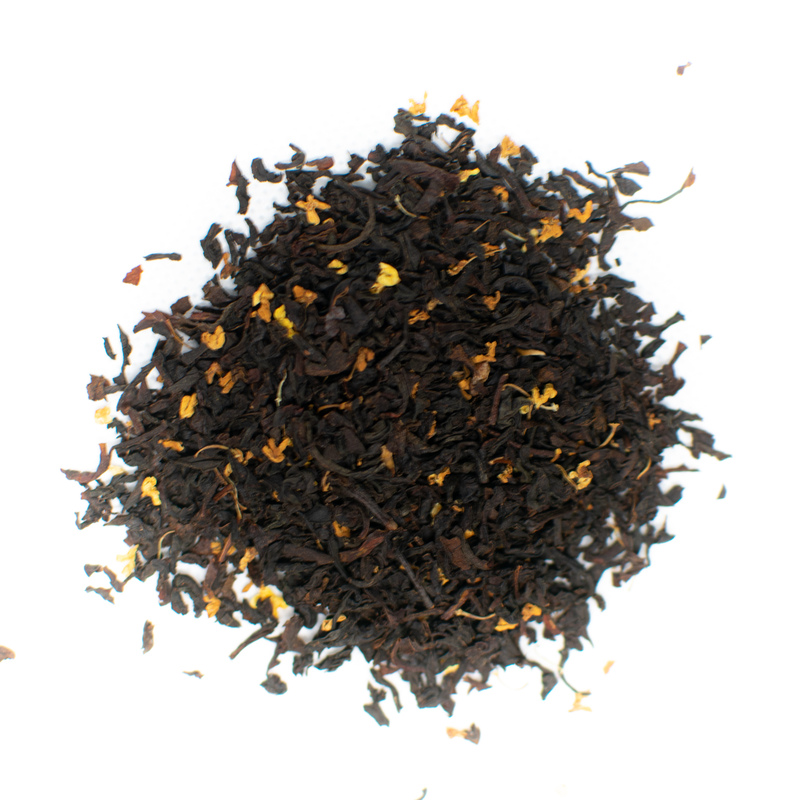 Black tea contains polyphenols known as tannins. These are commonly found in chocolate and wine as well. Tannins may inhibit the absorption of iron. One study found that drinking tea during a meal resulted in a 62% decrease in absorption of iron. The study compared that to a 35% decrease when a meal was accompanied by a cup of coffee (8). If you have an iron deficiency, consult your physician before consuming tea. Like tea, coffee contains antioxidants that have been linked to the prevention of cancer, diabetes, and heart disease. 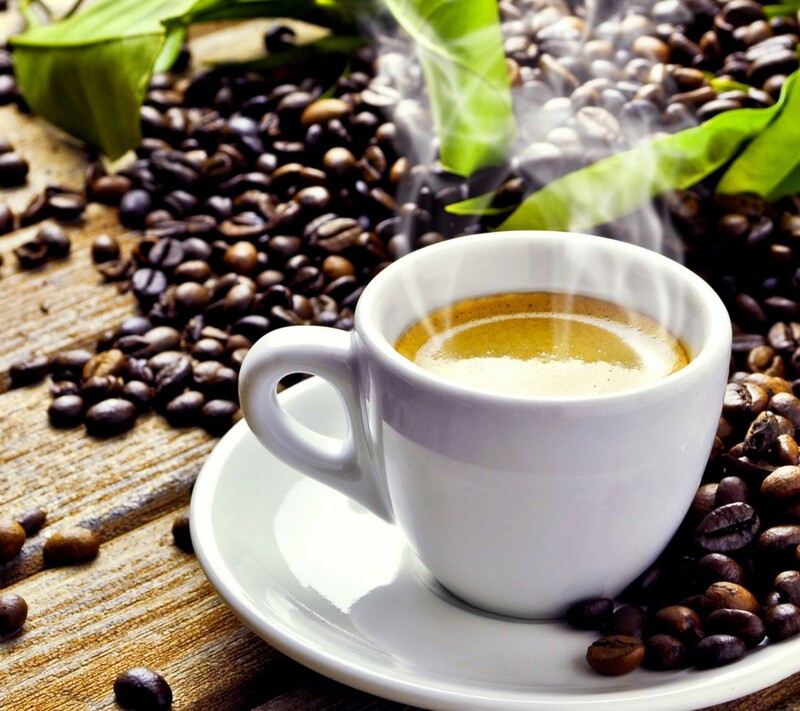 Coffee is made from the beans of the coffee plant and comes in several different strengths. 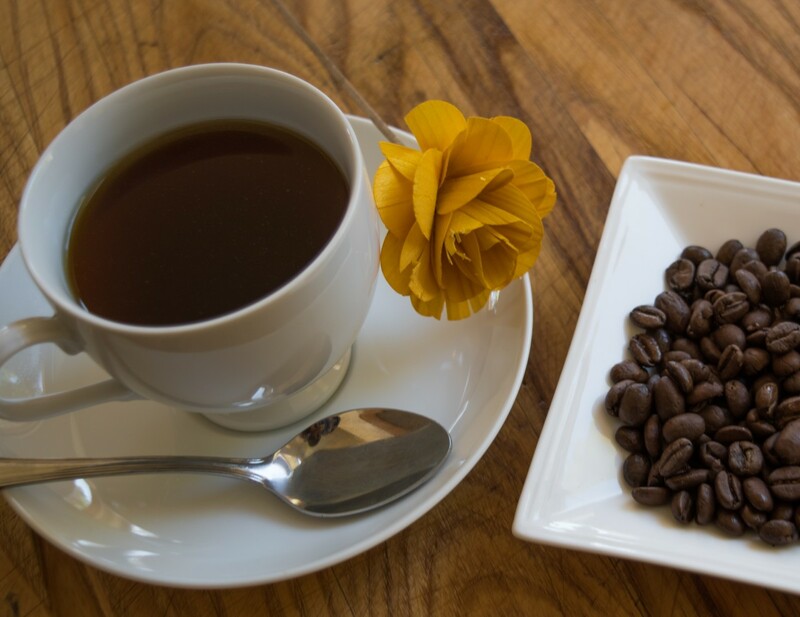 In general, coffee tastes malty and bold with a full-bodied flavor. Coffee has higher amounts of caffeine than tea. A standard cup of coffee typically contains 200 mg of caffeine. In comparison, black tea contains 60 mg, green tea contains 36 mg and white tea has only 25 mg of caffeine. Herbal teas are naturally caffeine-free. The higher caffeine content of coffee make sit a natural choice for increasing energy and starting the day. A recent study at Harvard found that drinking coffee may help lower the risk of early death. 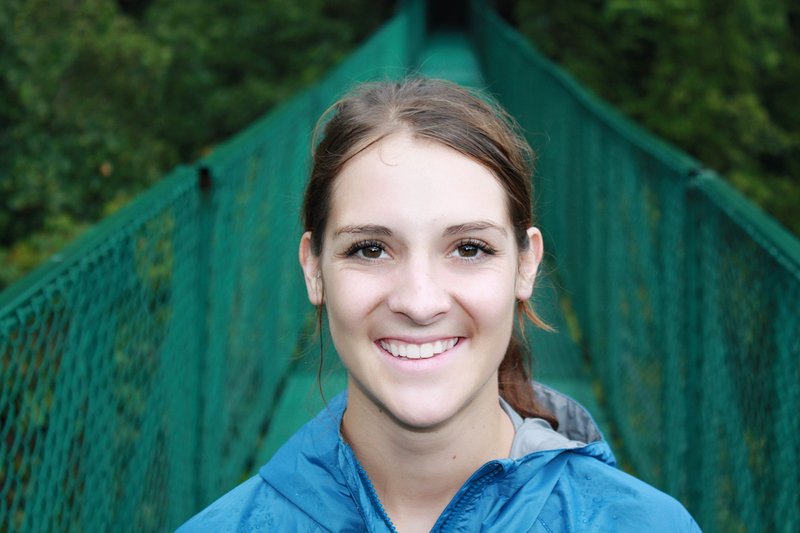 Researchers looked at three ongoing studies consisting of more than 200,000 participants. Researchers found that drinking 3 to 5 cups of coffee per day helped to reduce the risk of heart disease, neurological disease, and suicide (9). Coffee lovers can relish in the knowledge than each hot cup can help protect overall health and prevent death caused by disease. Caffeine is a stimulant that can lead to feelings of jitters and anxiety when consumed in large amounts. Coffee can also cause blood pressure spikes and may be linked to heart disease when consumed in large quantities over a long period of time. Caffeine is also a diuretic so it can be dehydrating when consumed in large amounts or irregularly. Unfiltered coffee such as espresso contains natural substances that may increase bad cholesterol called LDL cholesterol. One study published in Arteriosclerosis and Thrombosis examined the effects of unfiltered coffee on 64 healthy individuals. 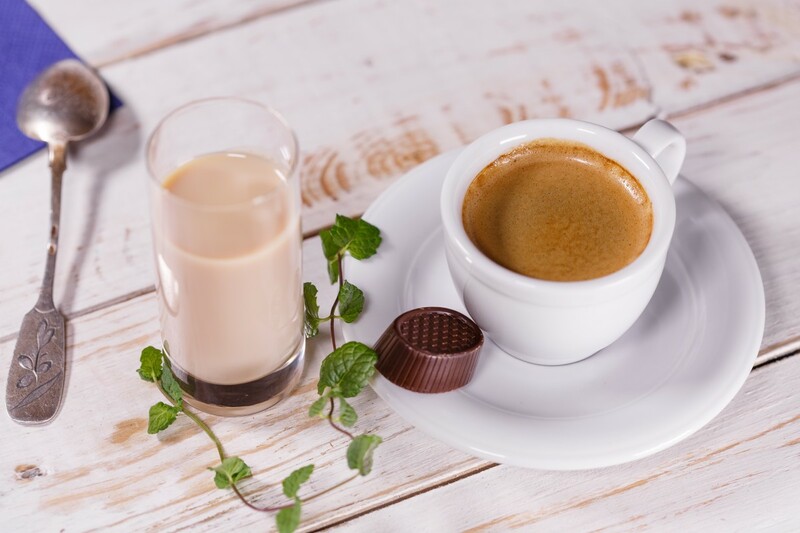 Participants that drank unfiltered coffee experienced higher levels of LDL cholesterol compared to the placebo group that didn't drink any coffee (10). Check with your doctor before drinking unfiltered coffee if you have cholesterol issues. Coffee has more acidic compounds than tea alternatives. Excess acid can cause stomach discomfort and digestive problems in certain individuals. Keep coffee consumption to a minimum to prevent these negative side effects. Both coffee and tea can quickly turn from healthy beverages to calorie nightmares when sweeteners are added. The sugary tea and coffee concoctions you find at Starbucks are not good for your health. Adding too many artificial sweeteners can increase your risk of diabetes and a host of other health problems. Luckily, tea offers thousands of flavors so you can choose one you love without having to add sugary substances. If you absolutely have to flavor your tea, stick to adding a slice of lemon or spices that give you the taste you desire. You can also add a splash of 100% fruit juice or a mint sprig to liven up the flavor. You can also add a stevia leaf to loose leaf brews for a natural sweetener that won't wreck the health benefits. On the other side of the battle, black coffee is the healthiest option. If you want to add flavoring, stick to using a plant-based milk such as almond milk or coconut milk. 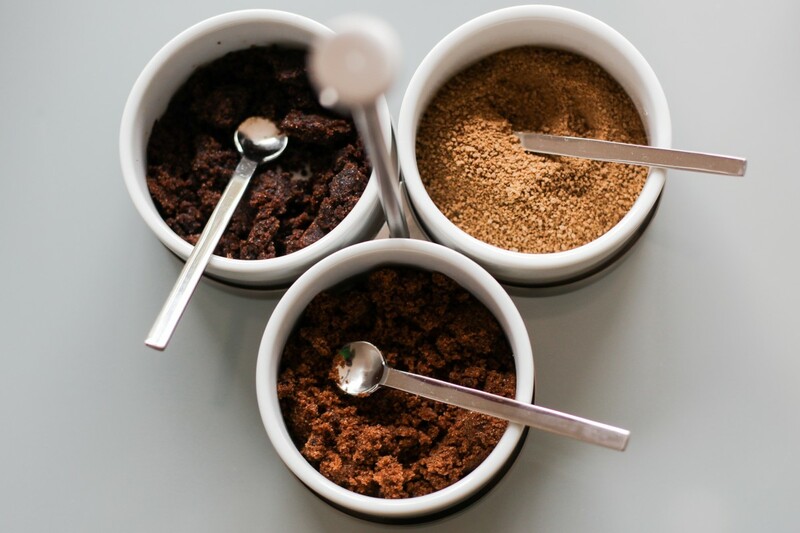 Spices such as cinnamon and nutmeg add a nice touch to coffee without affecting its healthy nature. Neither tea or coffee reigns supreme in this battle. 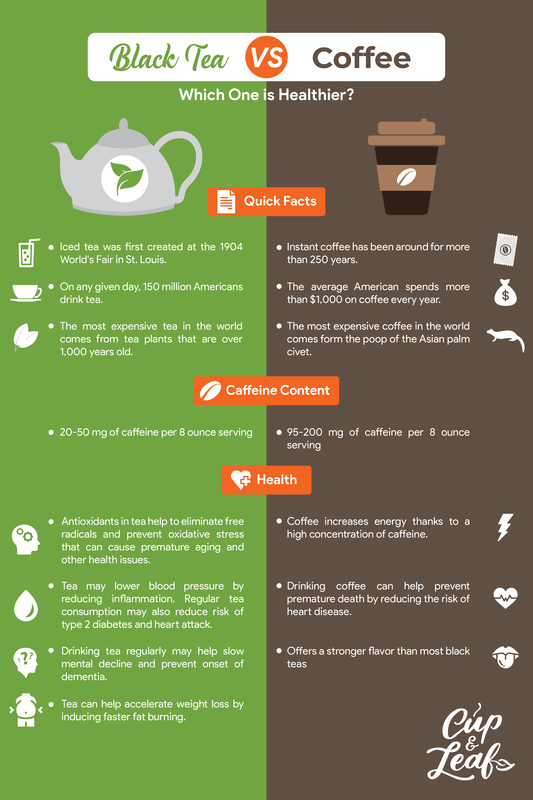 The health benefits of tea vs coffee vary and both have something to offer for human health. Both beverages offer health benefits and the best one for you will depend on taste and what you're looking for. If you want to lose weight, black tea (or green tea!) is a better choice than coffee. If you need a high-energy kick, coffee's higher caffeine content is the clear winner. Both tea and coffee are backed by extensive research showing their ability to prevent heart disease, diabetes, and potentially cancer. Tea is a good alternative to coffee if you are trying to reduce your caffeine intake. High level of caffeine are linked to several health problems. Replacing one or two cups of coffee each day with tea can help lower overall caffeine consumption. It may help you feel less jittery and still offers an energy boost to get you through the day. Whether you choose to drink tea or drink coffee, you can rest assured that you will reap health benefits. Stick to either black tea or coffee if you have a preference or mix it up and drink both of these hot drinks. Both coffee and black tea are also delicious when brewed cold. Find flavors that inspire you, pour yourself a cuppa, and drink to your health.